In this article we will explain a strategy for paying off your mortgage in just five to seven years. You can apply similar techniques to other kinds of debt such as personal and car loans. Start by thinking about your total yearly income (after tax), and divide this by 12 to get your total monthly income. For this example let’s consider that your yearly income after tax is $60,000, then you will have a monthly income of $5,000. So for this example total expenses per month are $3,600. Take this from your after-tax monthly income and you will have $1,400 left over. Most people will take this $1,400 and put it into a savings account for either long-term or short-term savings. This means at the end of the month, you have earned $5000 and after considering repayments, living expenses and money put into savings, you will have spent $5000, so will have zero cash flow. This is a very common way for people to manage their finances, however there is an alternative approach that you may want to consider if you want to pay off your mortgage in 5-7 years rather than 30. First, lets look at some important information you need to understand about your debt and your finances. Although on your credit card you are paying 16% interest, and on your home loan you may only be paying 6% interest, and so it seems that you are paying much higher interest on your credit card compared to your home loan. However, there are two key differences between these types of debt: Firstly, your credit card is revolving or two-dimensional, which means as soon as you pay down your card you can access those funds again and use your card for purchases. Your home loan on the other hand is one-dimensional, meaning once you pay off a portion of it you no longer have access to those funds. Secondly, your credit card calculates interest as simple interest: that is, a basic percentage on the money that you owe. Home loans are amortized, which means that you are paying interest calculated on the expected life of the loan. Lenders calculate home loan repayments based on the interest you are going to have to pay across the life of the loan. For most mortgages, the vast majority of your payments at first are going towards paying off interest, and only a small amount going towards the principal. In most projections, the point where you will start to make real headway on paying off the principal is 17 years into the life of the loan! For our home loan example above, of the monthly repayment of $1200, at first you can expect that around $950 goes to repay interest, and $250 goes to pay off the principal. Let’s look at what happens four years into your home loan. So, of your $200,000 loan, you have only reduced it by $12,000 in the first four years, even though you have paid $57,600 towards your mortgage in this time. It is important to understand how this works particularly if you are considering refinancing your mortgage. Often you will have the opportunity to refinance your loan at a better interest rate, which can be a great idea and help you pay off your mortgage sooner. However, it is important to check whether refinancing your mortgage will mean “resetting the clock” on your amortization schedule, meaning a higher percentage of your repayments will go toward servicing interest again, like they did at the start of your loan. Worst case scenario, if you keep refinancing your mortgage every four years, you could be stuck in a cycle of paying interest on your loan only rather than the principal, and never paying off your loan! A handy tool for calculating your mortgage and the best options for you is Carl’ Mortgage Calculator, which you can access here for Apple of here for Android. Another important thing to consider is whether putting your money into a saving account is the smartest thing to do. For a young age, we are told to put our money into savings. However, if you put the $1400 in our worked example above into a savings account, you may receive around 1% interest on this money. However you are still paying interest at a much higher rate on your credit card and your home loan. Take your entire monthly income of $5000 and use this to pay off your credit card. So in the example, your credit card balance will reduce from $12,000 to $7000. Use your credit card to pay your living expenses and your mortgage, bringing your credit balance back up to $9000. By making these kinds of payments every month, in this example you will have completely paid off your credit card in 6 months. You can then take the $12,000 of available credit on your card and use this to make a payment on your mortgage. It is very important that this payment goes towards the principal of your loan, rather than interest. From here you will have $12,000 of credit card debt, but you can pay it off across the next 6 months using the same strategy (steps 1-4 above). Consider that by this method you will pay off $12,000 of the principal of your mortgage in 6 months, whereas in the traditional method it would take you four years to pay $12,000 off the principal of your home loan. Moreover, you will save paying $45,600 in interest. You may also be concerned about having emergency back-up funds. However, in this example you will be continually paying down your credit card, so you will always have the balance off your card available to cover emergencies which come up. It is important (for this reason and also to maintain a good credit rating) to never completely max out your credit cards. Continue this strategy, paying off $12,000 from the principal of your home loan every 6 months, meaning that you will be able to pay off your $200,000 home loan in around 8 years. However, you should be able to reduce this time even more because if you regularly use this much credit and consistently pay it off on time, your bank is likely to offer you a higher credit limit, meaning you can pay off $15,000 or more every 6 months, and so will easily pay off your 30 year mortgage in 5-7 years! Purchasing a home is likely the biggest investment you’ll ever make. It will probably also be the best investment you make in your lifetime: allowing you to raise your family in your dream home, while gaining a foothold in the lucrative investment market. However, for most buying a house also involves taking on a large amount of debt for up to 25 years. 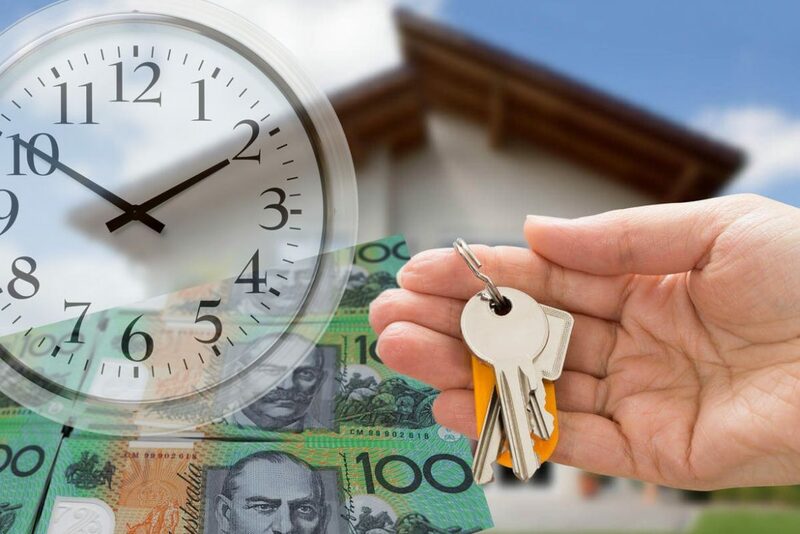 It is possible to pay off your home loan in a much shorter amount of time – even as little as 10 short years – and enjoy the financial freedom of outright home ownership! Here are tips and advice from the experts to allow you to do just that. Before anything else, paying off your mortgage comes down to how big your loan is in the first place. This means that when you decide on how much you can afford to borrow (and therefore what kind of house you can afford to buy), be sure to be sensible about what mortgage is right for you. Just because banks and lenders are willing to lend you a certain amount of money, doesn’t mean you should take it. In order to pay off your mortgage sooner it is important to make as many additional payments as possible, but this will be practically impossible if your loan is so large that you struggle to make the minimum repayments every month. Before deciding on the price bracket of the home you can afford, do a comprehensive analysis of your budget. How much is your total monthly income, including extras such as bonuses and dividends? What are your regular living expenses, including everything you will spend money on? Be realistic. Subtract your monthly expenses from your monthly income to determine your maximum monthly mortgage repayment. If you are struggling to find your dream home in your price bracket, it may be time to reconsider location and house size – do you really need to be close to the CBD or have that extra bedroom? Then set a goal for how soon you want to pay off your mortgage, whether it is 5 years, 10 years or something else. From there you will be able to calculate how much you can borrow in order to pay off your mortgage in that time frame. Another part of the preparation phase is addressing all your other debts before you take on a mortgage. It is important to pay as much of your personal loans, credit card balances and any other debt you may have before taking out a mortgage. Good financial practice is to pay off “expensive” debt, that is debt with the highest interest rates and fees, first. Generally, credit cards and personal loans incur significantly higher interest than your large mortgage, so these should be attacked as a priority. Or even better, if possible you should consolidate all of your debt in one place, usually meaning bringing your personal loans etc under your home loan. This means you will pay the lower interest rate on everything, and so will pay less over the total life of the loan. It may be obvious, but it is worth pointing out: in order to pay off your mortgage faster, you need to pay more than the minimum payments, on a regular basis. There are a few tricks to make it easier to do this. Firstly, make it your standard practice to pay above the minimum amount every month. You can calculate how much you need to pay in order to pay off your mortgage in your goal amount of time using the method described above. You may also find it easier to make fortnightly, or even weekly payments which add up to this amount, rather than monthly, which can be less stretch when paying this in smaller chunks. This also means over the whole year you will end up making the equivalent of one extra monthly payment, as there are 26 fortnights in a year but only 12 calendar months. Finally, anytime you come into any extra money, big or small, put this straight into your mortgage. Tax refund time? Pay it straight into your home loan? Bonus from work or birthday cheque from Grandma? Likewise. Before you do any of this however, you will need to check with your lender as to their rules on making additional payments, so make sure you ask about this when investigating loan options in the first place. All of this will help you to hit the principal part of the loan as soon as possible, rather than only paying off the interest. The reason many people take 20, 25 or even 30 years to pay off their mortgage is that they spend the first years paying only interest while the principal remains untouched, and keeps generating more interest. In this way, you will end up paying much more overall across the total life of your loan. If paying off your mortgage sooner is a priority, take a hard look at your expenses and see which luxuries you can cut out in order to put that money toward your home loan. A good start is to make a spending record of every cent you fork out – you will be surprised by how much you spend on unnecessary items like take away coffees, parking fees and eating out. By setting up frugal measures such as eating at home more, catching public transport and cutting back on indulgences, you can save a significant amount of money which can go straight into extra mortgage repayments. Some of these may be a challenge, but consider them short-term hardships: after all, once you have paid off your mortgage you will have your entire income to spend on luxuries, holidays and whatever you wish! A great way to bring in some extra income can be to rent out space in your house. If you go away on holiday, rent your home out on Airbnb. If you have a spare room, consider renting it out – this will not only bring in cash which you put towards extra mortgage repayments, but your new lodger will help share utilities and internet bills. If you don’t have a spare room (or don’t like the idea of a housemate) you may be able to even rent out your garage as parking space depending on your home’s location. Don’t settle for your mortgage once you have it, always be on the look out for a better deal! The market is constantly changing, so continuously check for loans offering better interest rates or otherwise better terms and conditions. Most mortgages have the option to refinance, which could mean paying your loan off much quicker if you find a better deal. Sometimes you won’t even need to go ahead and refinance in order to get the better deal: if you call your lender and tell them you are considering refinancing with someone else they will often offer you a better rate with them. Acquiring a mortgage is usually necessary to be able to buy your dream home, however it can be a large burden. Luckily, there are a range of things you can do to buy this debt off sooner – check our list below! The interest incurred on a home loan can be huge. Therefore the more you pay off sooner means you pay less interest, and can significantly reduce the total amount payable over the life of the loan. A great strategy to pay off your loan sooner is to make repayments based on a higher interest rate than you are actually paying. When calculating your repayments, add 2 or 3 points onto the current interest rate, and you will make great headway into paying off your mortgage! Financial packages, such as bundles of home loans with home insurance or fee-free credit cards, can represent great overall savings. When shopping around for a mortgage, be sure to ask what packages they offer. So called “Honeymoon” rates can seem attractive to home buyers. These involve loans which have a cheap rate to start off with, which then goes up after the initial period (generally 1 – 3 years). The problem with these is that after the initial period your loan switches to a high interest rate which is usually higher than other loans available, and in most scenarios you end up paying more in interest over the whole life of the loan. If you struggle to make big monthly payments above your minimum repayment, consider making smaller payments more often. Paying small amounts when you can can be a great way to chip away at your mortgage without suffering the pain of shelling out large amounts of cash at once – and these small amounts add up! Consider making regular fortnightly payments rather than monthly. Especially in the first few years of the loan it can be common to pay off the interest only, without touching the principle at all. However, in order to pay off your mortgage quicker it is important to make sure you attack the principle straight away. Try to keep track of your mortgage and make sure you are paying down the principle, not just interest. If you have multiple debts – for example a personal loan and credit card as well as your mortgage – be sure to bring them all together under one loan. This means you can make one repayment for all, and most importantly will pay the same interest rate across the whole loan, which will almost always be lower for a home loan compared to credit cards and personal loans. All-in-one loans, also known as 100 percent offset loans, take this one step further by putting all of your finances together into one account. This means the same account where you take your mortgage from will also be the account that your income is paid from, and where you take money from for expenses. This can make a huge difference to paying off your loan because by putting your income directly into your mortgage account you will reduce the principal of your loan, and therefore reduce the amount of interest you are paying. Split loans, sometimes also known as combination loans, assign part of your loan to fixed interest rates, and the other part to variable. This means you are covered both ways, no matter whether interest rates go up or down. 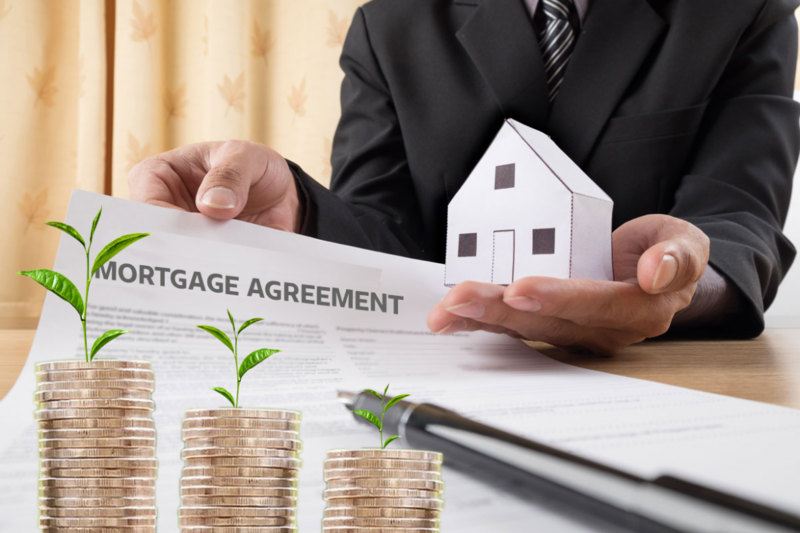 When you take out a mortgage, there are a number of fees and charges which apply, which some lenders will allow you to add these to your loan rather than paying upfront. Although this can be tempting, it is better to pay these immediately to avoid having to pay interest on this amount in addition to the principal of your loan. Likewise, for new home loans you often are not liable to pay the first instalment until a month (or more) after settlement. However, making the first payment on the settlement date means you are closer to paying off the principal of your loan and lowering the total amount of interest you pay on it. Once you have paid off a portion of your house, that becomes an asset which you own. In financial terms, this is known as equity. You may also have additional equity if the value of your home has increased since you bought it, as equity is calculated based on the value of the property, less the amount owing on your mortgage. If you have equity on your home, and are thinking of borrowing money for other purchases such as a vehicle, you are much better off borrowing against the equity of your home loan and enjoying the lower interest rates. There are literally dozens of lenders and brokers to choose from, so make sure you do thorough research before settling on the best deal. Furthermore, when you do start the process of applying for your loan, make sure you are armed with all the information on alternative loan options, so that you can negotiate the best possible terms with your lender. Don’t forget that some lenders offer discounts to specific professional groups, so be sure to ask about this also. As you are investigating different loans and weighing up your options, make sure you are clear on what you want and need from your loan. Make a list of all the features you want from your home loan and rank them according to importance. Then assess each loan against these criteria. One mistake buyers often make is overlooking or being wary of smaller, “non-traditional” lenders. Although the big lenders may seem like the better option, many smaller lenders offer very competitive loans that are worth considering if they are the best option for you. Even once you have signed up for a home loan, you shouldn’t stop looking around for the best rates. Always keep an eye out for new mortgage offers which may be better than your current loan, as in most circumstances you can change mortgage providers with little or no fees. Given the length of time it takes most people to pay off their mortgage, it is very possible that you may want to move house in this time. If this happens, it is much more financially advisable to take your mortgage with you to the new property rather than closing out and applying for a new loan. When you sign up for your home loan in the first place, make sure it is transferrable to a new address without incurring ridiculous fees and charges. If you have a savings account, consider changing this to an offset account instead. This means that rather than earning interest (which on most savings accounts is pretty minimal) you will offset the interest you are paying on your home loan. Ideally, you will find an offset account which pays the same rate of interest as the interest you have on your mortgage, giving you a 100% offset. Once you have secured the best possible interest rates, you can really put the difference to work by using it to invest. If you take the money you would have been spending on interest rates and put it into stocks and shares, you may get a great return that you can ultimately use to pay off your mortgage. This will depend on various factors such as the current state of the share market and interest rates, so be sure to seek financial advice before making any moves. Bridging finance may sound like an attractive option to cover buying a new home before you have sold your old one. However, this type of financing incurs interest rates which are significantly higher than the standard variable rate, costing you much more in the long run. Always sell your old property before buying a new one wherever possible, or if this cannot be achieved investigate a deposit bond instead. This is no cunning trick, but rather a simple one: cut back on expenses you don’t need and put that money into paying off your mortgage sooner instead. You will be surprised how much you can saving by making your own lunches for work rather than buying them out, or by cutting out cigarettes or over-consumption of alcohol.